Tracy Thomas is pleading for her missing son to make contact and come home. 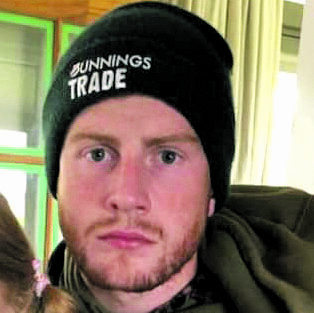 Finn Yeats has been missing from his Carterton home since Tuesday and family members have serious concerns for his safety. “If he reads this – please come home, I love you so much,” Thomas said. The 20-year-old hasn’t made contact with friends and has been absent from his work in Greytown as a building apprentice. “I’ve exhausted all avenues with his friends – no one has seen or heard anything,” Thomas said. Yeats stays with his mother in Carterton and sometimes spends time with his brother and his friends in Masterton. “He hasn’t been telling me all his comings and goings but he has never done this. “I only found out [Wednesday] morning that he hadn’t been at work. Yeats is approximately 1.80m tall and around 85kg with short red hair, blue eyes and is unshaven. He drives a silver 2006 Subaru Legacy, registration JDR615, with damage to the front left bumper. Thomas said she notified police around 10.30pm Tuesday night and asks anyone who may have seen him or his vehicle to please contact police.